Jeunes Animaux Confisqués au Katanga (J.A.C.K.) is located in the city centre of Lubumbashi which is a strategic place for Education: easy of access, the complex welcomes visitors, schools and authorities. 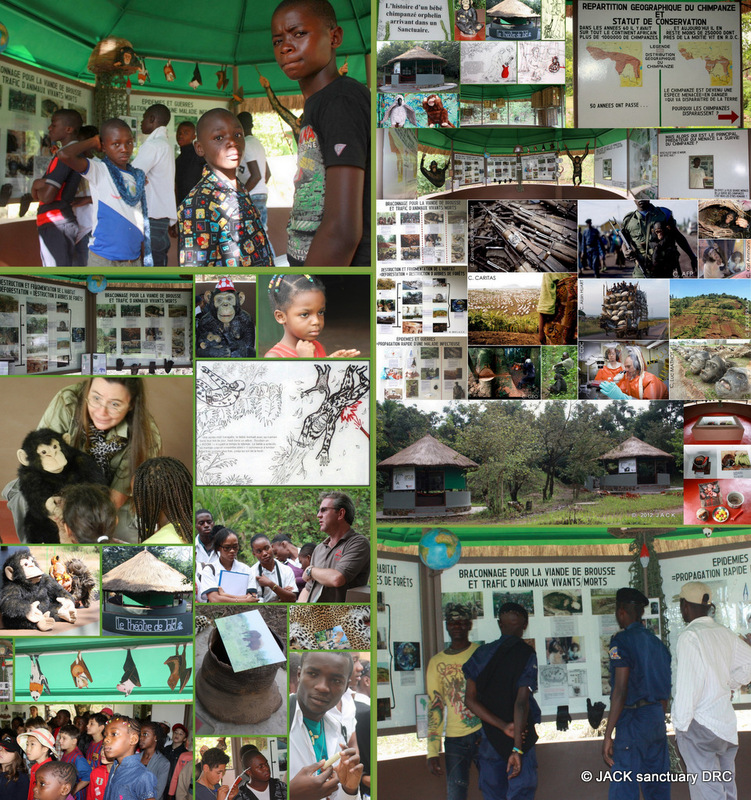 Because Conservation can only take place together with Education, J.A.C.K. finally managed to launch the first steps of its Education Centre : 4 education huts have been recently built thanks to the wonderful support of its donors. Our Chimpanzee Sanctuary works with the young generations, but it also and mainly has to target individuals who either pose a threat to apes now (tourists, expatriates who are likely to purchase a primate pet) and/or who are in the position to help control threats faced by wild apes in the DRC (soldiers, government authorities, wildlife officials). 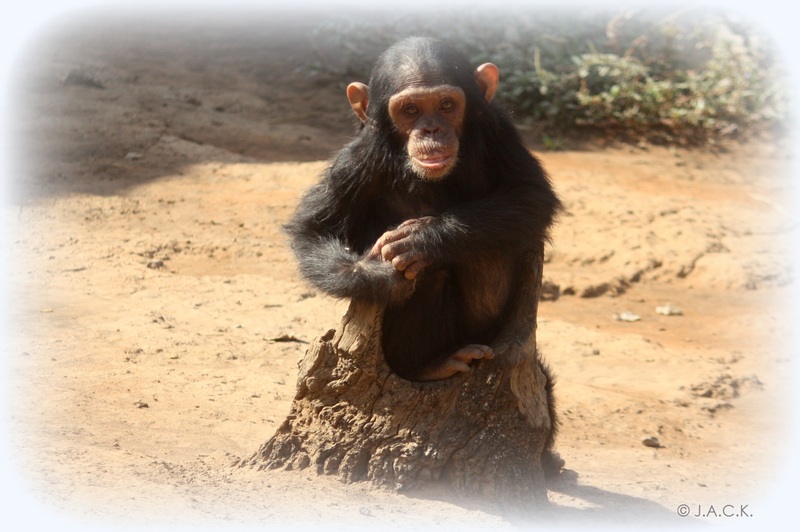 Chimpanzees are said to have about 20 years left in the wild. This means that they can’t wait today’s young generations to grow into conservation advocates. Great Apes need today’s adults to take action right now to give Chimpanzees a greater chance of survival.